Work with more complex patterns and learn the difference between even count, odd count or two drop peyote (and why each is important). Expand your working knowledge of this stitch, also known as gourd stitch. 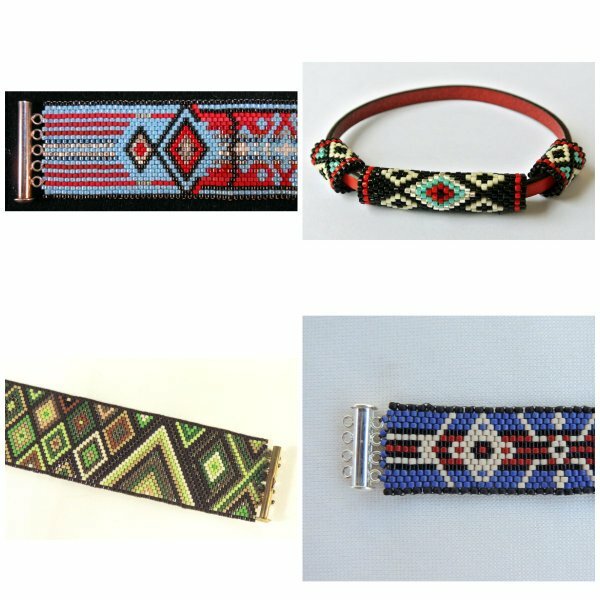 Add to your skills by learning more than three ways to start your peyote piece. Prerequisite: Peyote 101. Choose from several projects including those pictured. You can see all of the samples at the shop.